The contention is that the largest baobabs weave together multiple tree stems around a small “false cavity,” and this is what gives them their unique structure. These stems also can grow together. This leads to a strange feature in which, moving outward from the cavity center, the wood can get older for a time, rather than younger, as might normally be expected. 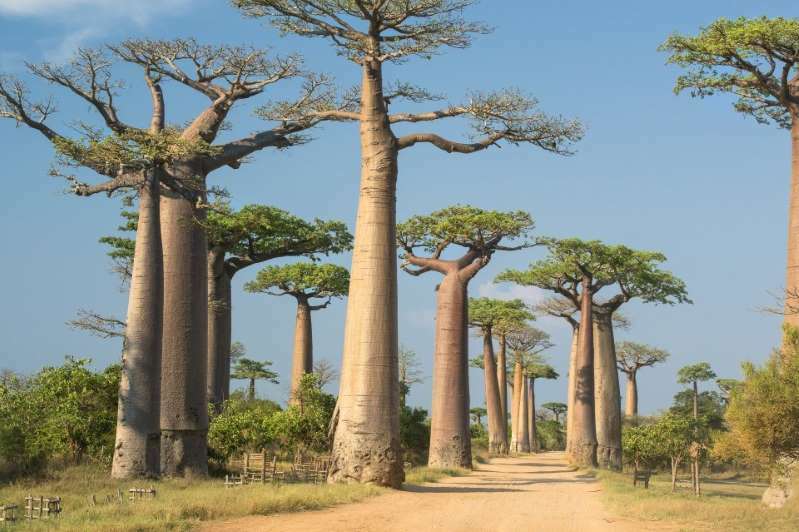 “This a unique characteristic of the African baobab and all the baobab trees,” said Patrut, who has dated different parts of the trees using radiocarbon-dating methods. “Something obviously is going on in almost selectively affecting the largest and oldest,” Thomas Lovejoy, an environmental scientist and Amazon rainforest expert at George Mason University, wrote in an email comment on the study.